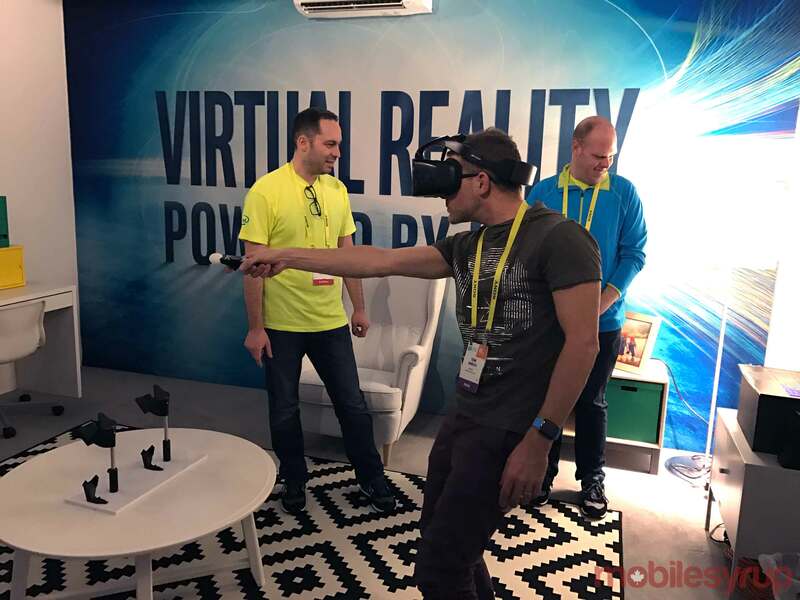 High above the crowds inside the convention centre at CES in Intel’s Skylounge, I entered “merged reality” for the very first time using a prototype of Intel’s Project Alloy. 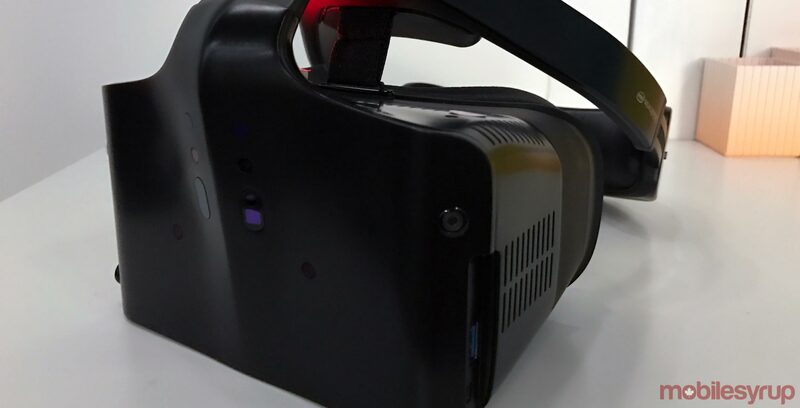 Project Alloy is an all-in-one virtual reality headset. 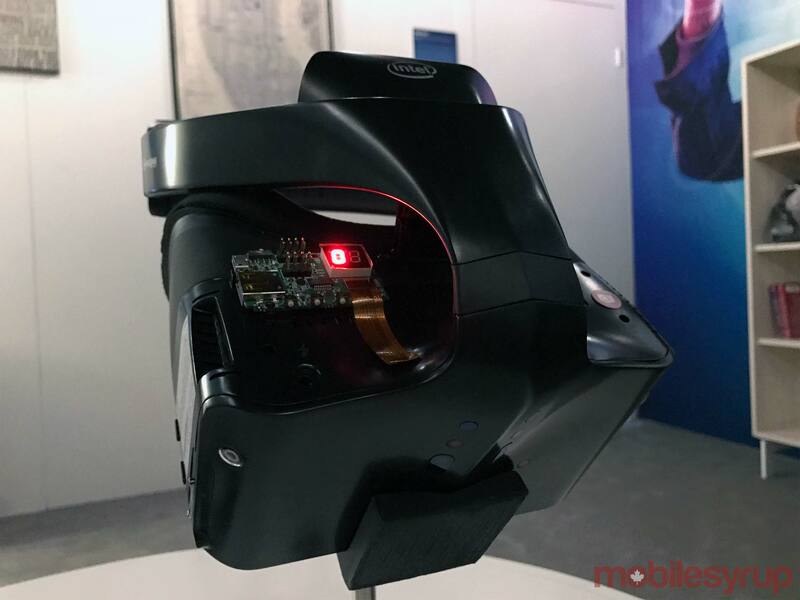 The device is a full computer on your face allowing for an untethered VR experience, meaning no cords. It also removes the need for outside sensors and cameras for tracking, as it’s equipped with computer vision technology leveraging Intel’s RealSense offering inside-out tracking. 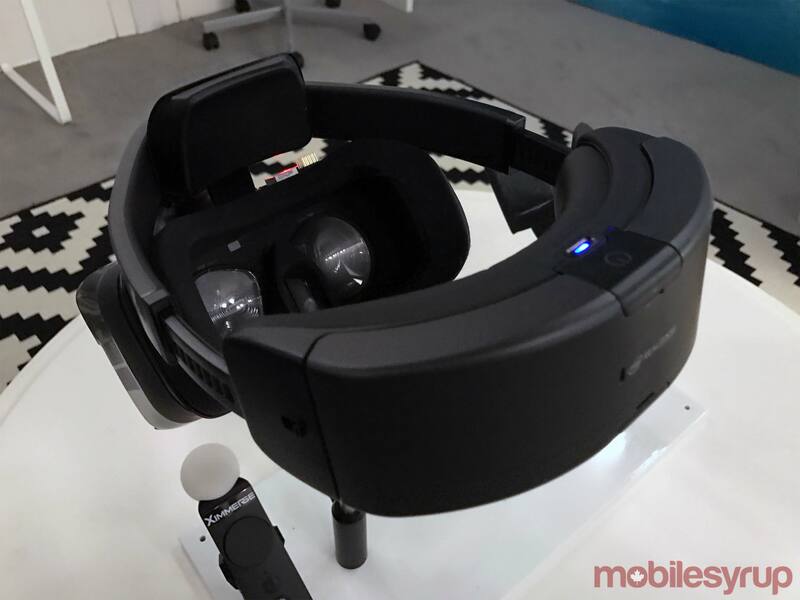 Alloy is not a mixed reality device like HoloLens and it’s also not an augmented reality device like Epson Moverio BT-300. It isn’t even a VR headset like the Oculus Rift. Rather, it’s a virtual reality device that can bring in real world elements to enrich the experience. And this is exactly the type of experience I had during the demo. While the current prototype of Alloy is large, it was actually pretty comfortable considering I was wearing a laptop running a PC class core processor on my face. But my demo was extremely short so I would have to wear the device a lot longer to really conclude anything here. And ultimately this doesn’t matter as Intel is not the one that will be producing the consumer ready device, although the company is continuing to iterate on the design to work on things like balance. The device fit on my head very similarly to Playstation VR although the back of the headband was much larger since it contains the battery. After my demo I did notice that the top of the device got pretty heated but I didn’t hear any fans like I have in other AR/VR devices. With the headset on I first saw the room around me which was previously scanned. Slowly the objects in the room around me started to change into game elements. The coffee table in the middle of the room became a glowing generator, and the walls were finally removed to show the sky which quickly became filled with enemy drones (which by the way were almost too cute to shoot). The game itself was pretty simple. I was given an Ximmerse 3 degrees of freedom controller which I would use to point and shoot the drones and when I was out of ammo, I had to walk around the room to collect some more to continue shooting. One of Alloy’s main features was to use the room around me to make it easier to walk within the space without crashing into things. There were a couple of times when I bumped into the coffee table — which in the game was the virtual generator — as they didn’t completely exactly line up. Overall, I would say that I didn’t leave the demo feeling entirely confident I could run around the room in the game with the same ease as I do in the real world without knocking into things but it was clear that the real world objects were being taken in consideration in the virtual environment and I was able to move about the game again without the need for outside sensors. 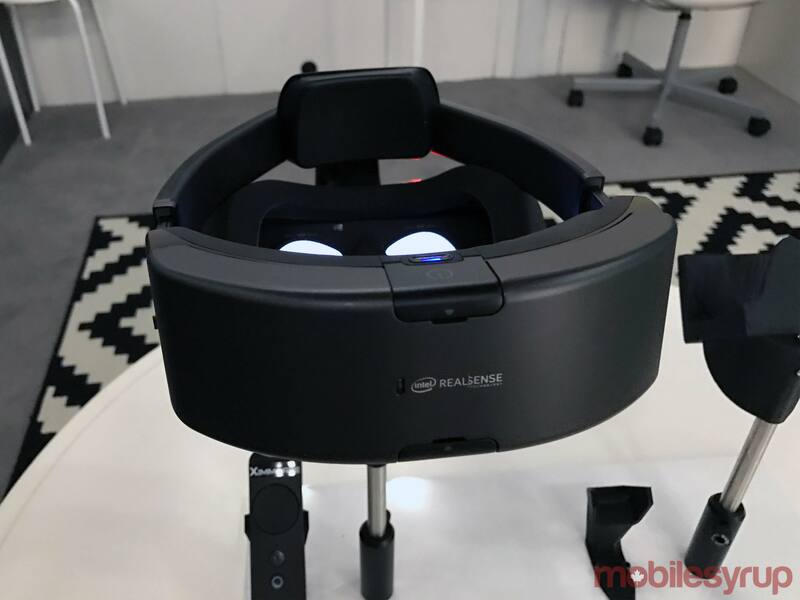 While Intel did say that down in the main area at CES they had a demo of Alloy where you could put your hands in the experience to interact with the virtual world, the demo I experienced used a controller which left a lot to be desired. My virtual hand in the game was a good 15 degrees from where my real hand was. Bhowmik did tell me that Alloy can work with various inputs including controllers with six degrees of freedom and that eventually at launch the device will also feature voice control. I asked Bhowmik what he thought the predominant use cases would be for Alloy. 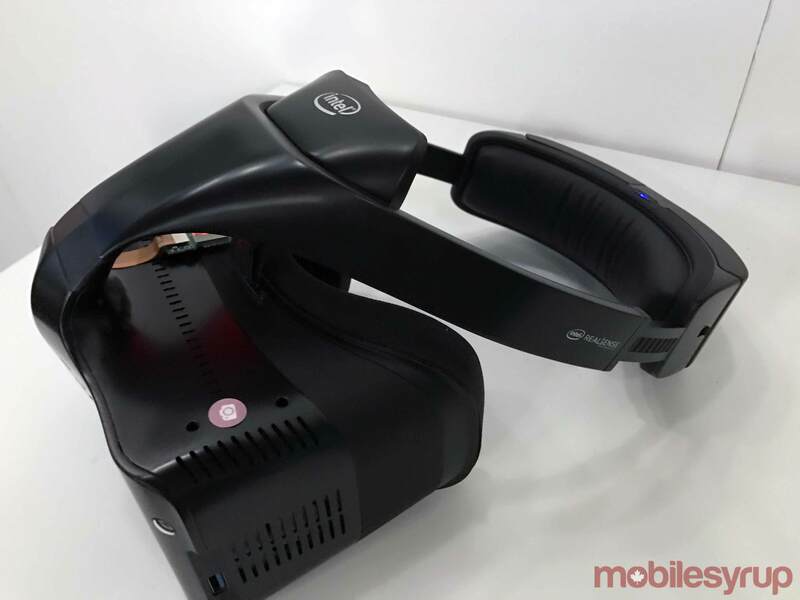 Gaming topped his list as he felt that Alloy could provide a “richer experience when you are not connected to the PC.” Virtual tourism, education and sports rounded out his list of experiences we may expect to see using the production version of the device. Bhowmik told me that some of the partners will use the Project Alloy developer kit as a reference design while others with more stronger device design capabilities will take the guts of it to create their own including one 400 RealSens camera and the Movidius chip (in the version I tried Intel used two specially-developed variations of our 200 RealSense cameras). RealSense also has a chip on it that calculates the 3D data points. While the battery life will depend on the partner, Bhowmik did say that like a laptop you should expect multiple hours of battery life. Overall I would say that I left pretty excited about Alloy, although the experience wasn’t as magical as I had hoped. I am a huge believer that an all-in-one untethered device with no need for outside sensors is the future. And I have no doubt that with the help of major partners that Intel will continue to improve upon the technology.